Tactical Urbanism is a Mpls Downtown Improvement District program built around the idea that the experiences people have in downtown public spaces, and how safe they feel, are shaped by how those places are designed and programmed. MDID and its partners work together to help improve real and perceived safety downtown through this program for enhancing an area with low-cost environmental changes. This Tactical Urbanism work is guided by an advisory committee that prioritizes sites and endorses project concepts. This work is informed by crime information, stakeholder observations, and findings from our annual MDID Perception Survey. This information helps us pinpoint specific places and overall concerns in our downtown and guides a conversation on where Tactical Urbanism can be most impactful. 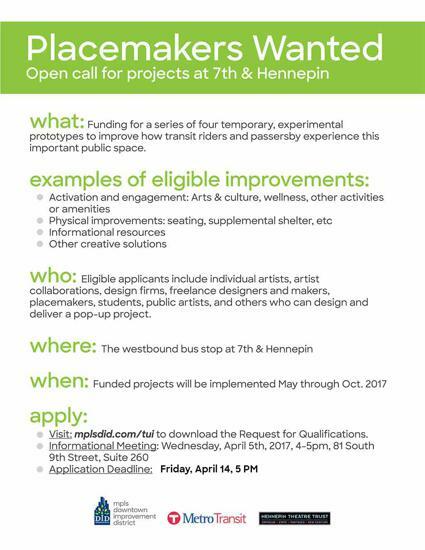 The Mpls Downtown Improvement District (MDID), in partnership with Metro Transit and Hennepin Theatre Trust (HTT) is interested in exploring improvements at and adjacent to the westbound bus stop at 7th & Hennepin. Please contact Ben Shardlow if you would like more information (email [email protected] or call 612.656.3830). 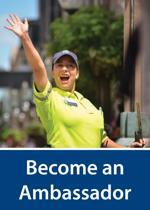 For more information on this Request for Qualifications, click the PDF link below.